Photos from inside the plane show the aftermath of a window crack on a Southwest flight from Chicago to Newark. CLEVELAND -- A Southwest flight from Midway Airport was diverted to Cleveland Wednesday morning after a window cracked mid-flight, according to the FAA. Southwest Flight 957 was headed to Newark Liberty International Airport when it stopped at Cleveland-Hopkins International Airport for "maintenance review of one of the multiple layers of a window pane," according to Southwest. The plane landed successfully and there were no reports of depressurization, Southwest said. No injuries were reported. In a statement, Southwest said: "The flight landed uneventfully in Cleveland. The aircraft has been taken out of service for maintenance review, and our local Cleveland Employees are working diligently to accommodate the 76 Customers on a new aircraft to Newark." The incident occurred about two weeks after a 43-year-old woman was partially sucked out of Southwest Airlines plane after debris from an engine explosion blew out the window. The woman was on the flight in which Jennifer Riordan was killed. 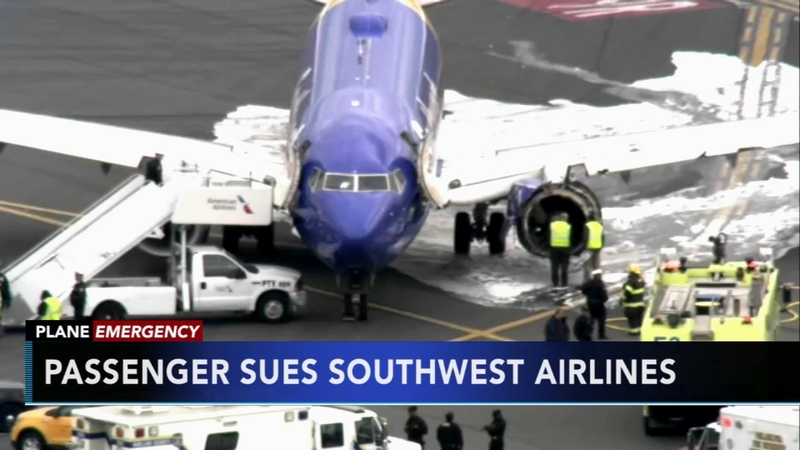 On Monday, passenger Lilia Chavez filed a lawsuit against Southwest Airlines, GE Aviation, Safran Aircraft Engines and CFM International, a supplier of jet engines, in the Eastern District of Pennsylvania. She alleges "mental anguish" as a result of the incident. "Ms. Chavez witnessed the horror as the force of the depressurization pulled an innocent passenger partially through the shattered window and she watched as passengers risked their lives to pull the passenger back into the aircraft and save her life," the lawsuit says.